Gross Weight (GVWR) 8250 lbs. The best days of your life are yet to happen! 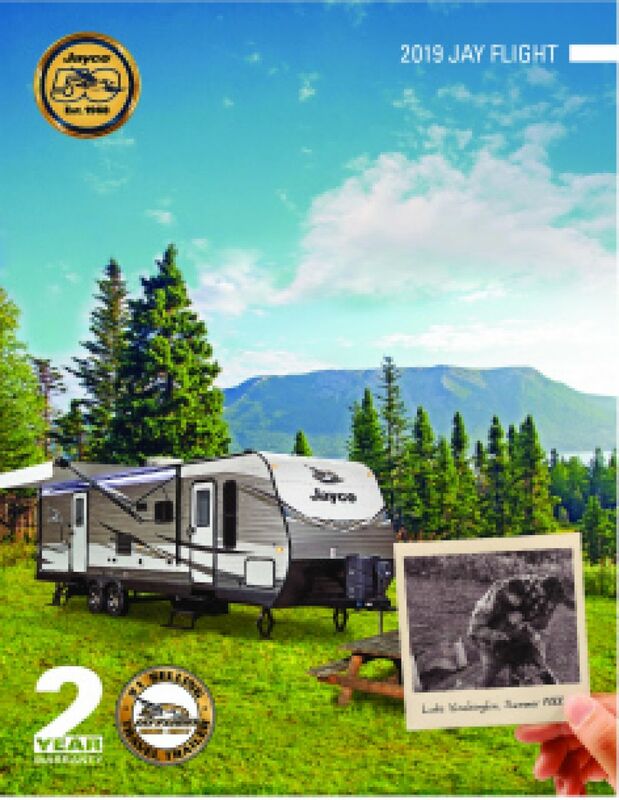 Every summer is amazing with the 2020 Jayco Jay Flight SLX 294QBS! It's a great Travel Trailer for traveling families, and it's available now at All Seasons RV! As one of the largest RV dealers in the Midwest, you'll find a wide array of the nation's top brands! You can browse through our massive RV inventory on our site, or see them all for yourself on our lot at 4701 Airline Rd Muskegon Michigan 49444! Even if you don't live near Muskegon, MI, you can still enjoy the use of our 24/7 nationwide delivery service! To talk to our Jay Flight SLX expert, just give us a call at 231-739-5269! We'll get you in the RV of your dreams in no time at all! Days of outdoor fun can leave you pleasantly tired at night. That's when you'll appreciate the superb master bedroom! It's roomy and comfortable with its spacious Queen bed where you'll cozy in, close your eyes, and be asleep in no time! 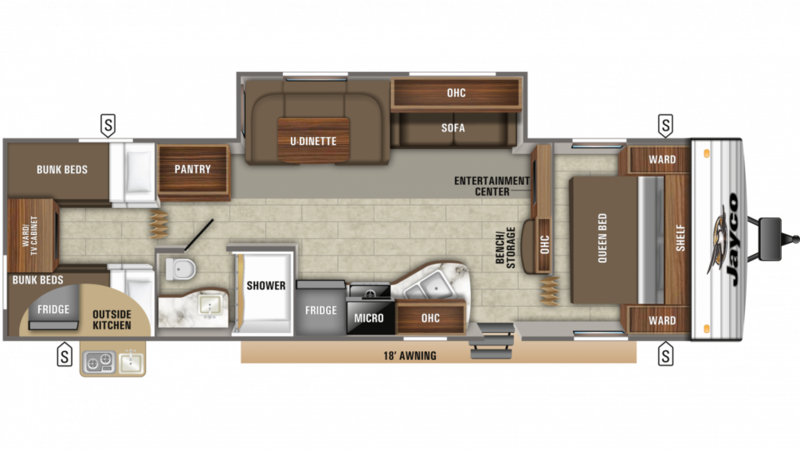 Up to 10 people can sleep comfortably on the furniture inside this RV! When you're on the road, finding hearty, healthy, and delicious meals can be difficult. Not in this RV! It has a kitchen full of modern cooking appliances, including the 3 burner range cooktop the 6.00 cu. ft. refrigerator, and more! Before you leave home, fill up the 38 gallon freshwater tank so that you'll have plenty of clean water for washing, drinking, cooking, and showering! The extra snug Bunkbeds are so comfy that your kids will drift off to dreamland in no time at all! Make friends with your campground or tailgate neighbors by offering them some tasty grilled treats made with the outdoor kitchen!